Still smarting from the Trump administration’s abrupt cancellation this February of long-standing plans for a new suburban FBI headquarters, an array of Democratic lawmakers from the Washington area are accusing Trump of letting his personal interests influence policy. During recent talks at the White House on funding the government for fiscal 2019, Trump was said to have ranted about the “terrible” four-decade-old crumbling structure on Pennsylvania Avenue Northwest, a White House insider told Axios. "It's one of the brutalist-type buildings, you know, brutalist architecture. Honestly, I think it's one of the ugliest buildings in the city,” the president said. On Monday that report prompted a series of accusatory tweets and statements from Democratic lawmakers with a personal stake in winning the now-discontinued bidding war for locating a new FBI complex in Maryland or Virginia. Sen. Ben Cardin, D-Md., urged Trump in a tweet to allow GSA to resume the canceled process of picking a new site. Senate Appropriations Committee Chairman Richard Shelby, R-Ala., agreed with the president when he said he’d like to have the FBI headquarters in a “beautiful” location downtown, The Washington Post reported Monday. That is “something that we need to do for safety and everything that goes with it,” Shelby said. The FBI declined to provide an update. 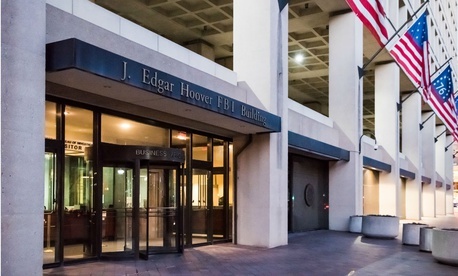 Though the Trump administration in February produced a slide show with a vision for a new FBI building, GSA has “not submitted an official prospectus to Congress,” according to a spokesman for Sen. John Barrasso, R-Wyo., chairman of the Environment and Public Works Committee. Barrasso has held two hearings “on the issue and the GSA has presented a plan to the committee that would keep the headquarters in Washington D.C,” the spokesman said. “The committee will continue to follow the issue and review GSA’s recommendations. On the House side, the Commerce, Justice, and Science Appropriations bill marked up in May included language from Rep. C.A. Dutch Ruppersberger, D-Md., that would withhold funding for a new consolidated FBI headquarters until a new prospectus is approved.